Well it seems to have come around quickly, but time for another review of the year on Got A Ukulele. It's been a great year, in which I have met some new ukulele friends, played many more instruments, and marked the third anniversary of this site. 2012 has seen over 600 posts and nearly 900,000 page views, beating the 2011 review by quite a margin! So, let's move on to some of my personal highlights! 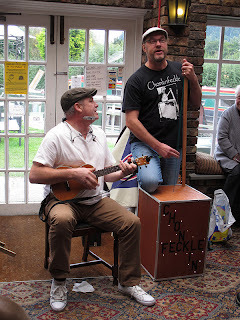 In early 2012 I gave you some new years Uke resolutions which still stand up today. Amanda Palmer played uke at the Occupy Wall St demo, and the world was introduced to a humble recording on the New York subway which then went viral for Jessica Latshaw. Feb saw the launch of my second ukulele book - More Of What Ukulele Players Really Want To Know, and I was also delighted that Jess Latshaw agreed to be interviewed on the site - a truly lovely person. We ran a competition to win some of my books with superbly goofy entries, learned that Willie Nelson plays the uke and read my take on plastic ukuleles. In March I visited the Casa Museo Del Timple on Lanzarote to see an early family member of the ukulele, and even brought one back to review. 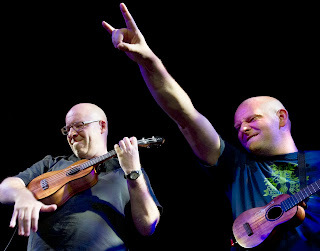 Finally, I was delighted that friend and uke player Joey Paul agreed to do a guest post on the blog. Metalheads were delighted to learn that Dave Grohl was partial to a bit of ukulele. Also in April I got my hands on a Fluke Firefly banjo ukulele and brought you my tips and advice on buying a used instrument. I took a look at the Peterson Stroboclip (the worlds craziest priced clip on tuner), and I was also thrilled to learn that a song cover recorded by a ukulele friend had been picked up on by Amanda Palmer. May kicked off with a review of the (excellent) Blue Lady Sings CD by my friend Tricity Vogue - highly recommended. Joey Paul launched a single with proceeds going to the Fibroduck Foundation for Fibromyalgia sufferers, we took a look at the Brüko No 6 ukulele and I gave you my tips on choosing ukulele strings. I gave my thoughts on the suberb Flirting With Mermaids CD by Manitoba Hal, launched the omnibus edition of my books The Complete What Ukulele Players Really Want To Know and our local group, the N'Ukes were visited by Ken Middleton! July seemed to be a month of reviews with me taking a look at Living Water Strings, the Risa Uke-Solid electric ukulele and the new Uke Leash guitar style strap. 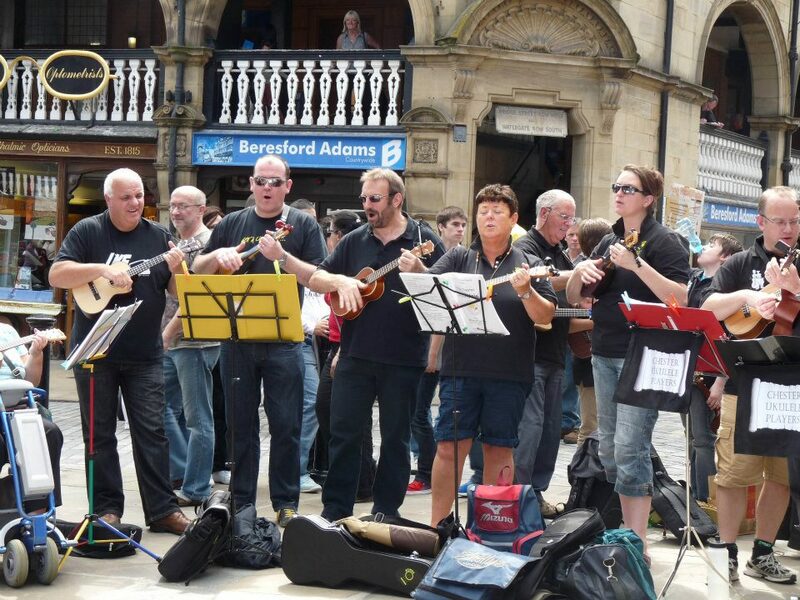 Our band the N'Ukes set their sights further afield joining a busk - all for charity around the streets of Chester. August started with a review of the Islander MST-4 Tenor - part of the budget line of ukes by Kanile'a, together with me revisiting the Fluke for a long term update. This month saw the sad loss of Neil Armstrong a lover of the ukulele too. September started with a look at the Martin T1K Tenor Ukulele - a fine fine instrument. It was also an extremely busy month for our group, the N'Ukes, welcoming Richard G on his trip to the UK, playing a charity gig for Macmillan Cancer Care and then hosting the N'Ukefest weekender in Cheshire at which we were joined by so many ukulele players, including the fine guys from Chonkinfeckle. October allowed me to catch up with friend Ken Middleton and interview him for the site - a gentleman and wise sage on all things ukulele. I also shared my thoughts on accompanying the ukulele and took an in depth look at the highly recommended Ohana SK-25 soprano. Happy Birthday to me! November marked the third anniversary of Got A Ukulele and I was thrilled that Ohana Ukuleles helped by celebrate by very kindly offering one of their instruments as a competition prize. November also saw me rebrand my books, take a look at the Puka PHC Concert ukulele and the rather woeful Eleuke Peanut. With Christmas approaching the ukulele songs page had it's fair share of Christmas tunes added - just the thing for the festive season! The world lost the great Dave Brubeck, and I took a look at the excellent Kiwaya KS5 Soprano. The N'Ukes took to amping up to rock their last gig and I shared my views on ukulele straps. 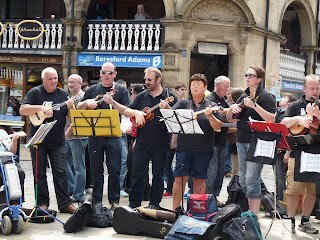 Lastly, with the year nearly over, it was time to look ahead to 2013, and I have started to build the new Ukulele Festival Calendar for the coming year. So - quite a year, and one that I have thoroughly enjoyed. There will be much more to come on Got A Ukulele with more reviews, articles and interviews already in the pipeline. Thank you so much for all your support and kind messages. The site takes a bit of work, and I do hope you like it! All that remains is for me to wish you a happy, prosperous, healthy and ukulele filled 2013. Thanks for all your work during the year, Barry. It is very much appreciated. Thank you Ken - been most enjoyable, and been great to get to know you too! Super site Barry, a really great resource. Thankyou for all you do within the uke community, long may it continue. Blessings mate.